Okay, so by now, you’re probably asking yourself, “don’t wedding DJs just play music and make a few announcements?” Yes – the other companies do. We don’t. Honestly, if that is all you want, and yes, we can do just that if you wish, BUT our pricing is the same for our wedding packages whether we assist in comprehensively planning your wedding entertainment experience, or just play music and make a few announcements. It’s your choice. In the end though, if just music and a few announcements is all you really want or need, then humbly, I suggest you skip hiring a Colorado DJ for your wedding, save the money get an i-pod and do this on your own. Remember when I mentioned in the “Our Standards” tab of how we personalize our weddings and where I said I will always tell you the truth? Well, believe it or not, your guests will have one overriding perception on the wedding day that it IS in fact wedding MC/DJ Entertainer’s “job” to fully “manage” the sequencing and flow of EVERY event, EVERY emotion, EVERY individual and comprehensive experience of your guests with what they see, hear, taste, feel, etc because it’s your Colorado wedding MC/DJ Entertainer is the only wedding professional that is ever present and visible TO them throughout the day as their host. Unlike any other wedding professional you may hire, (the florist or cake designer who drops off their wares and leaves long before anyone arrives; the caterer who is in and out of the kitchen who’s sole focus is the food; the photographer and videographer who is often working directly the couple managing a long punch list of shots to capture; the officiant who performs the ceremony and leaves right afterwards; the hotel sales or catering manger who stays until the “important people” get food then leaves; etc.) Who is the one constant (and visual) wedding professional your guests connect to, look for acceptance, information, direction, guidance and closure in a day packed with formalities? Only the wedding MC/DJ Entertainer. Your wedding MC/DJ Entertainer, will be assumed to take on several roles beyond just music playing music and making a few announcements, whether they know it or not. The reality is, your wedding MC/DJ Entertainer is the visible spokesperson for your wedding, the host, and thereby, the person guests assume “responsible” for crafting the comprehensive entertainment experience for everyone from the moment they arrive, to your last dance. 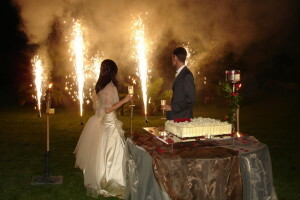 Because of this assumption, your wedding MC/DJ Entertainer is presumed to take on the task of fully organizing, creating, building, then maintaining a wedding’s full sequence of events, then seamlessly delivering them in a professional manner that keeps everyone engaged, entertained and informed. 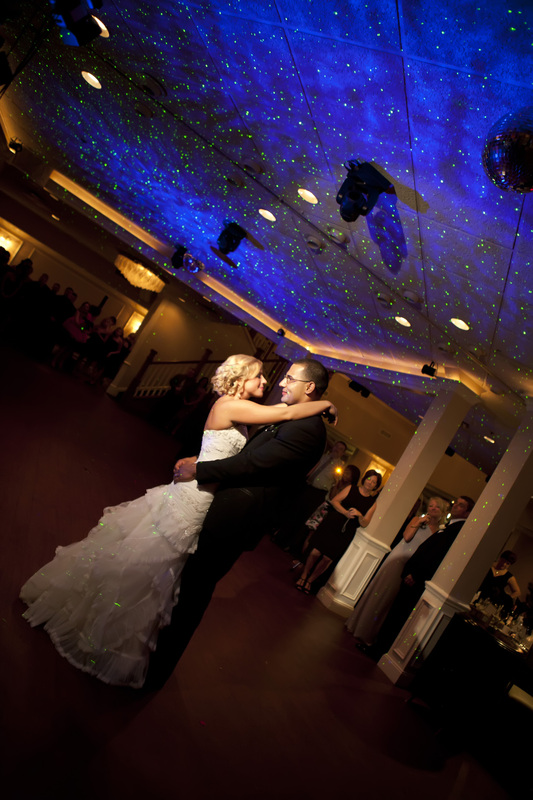 Expert wedding and reception music programming – the art and science of reading a crowd and KNOWING when to play the right song, why, and how to read then lead your audience. It’s the right sequence, at the RIGHT time, to create the perfect mood, feeling or memory through the application of proper wedding knowledge and extensive wedding experience using multiple music genres, tempo, styles, and trends to create or change the energy in a room. This is a refined skill, especially at weddings, like the great Michelangelo piece of art, and continually developed one wedding at a time. It’s something that school DJs, bar/bat mitzvah DJs, or club/night club DJs simply can never do because they do not continually play for a wide variety of audience ages and music styles. Entertainment Event Planner (pre-wedding- coming from an “entertainment and guest interaction” perspective). The ability to leverage my experience of performing at over 1,300 weddings personally to become your trusted advisor for practical help in creating the vision, transition, flow and more for your wedding. (this role is often placed on us with the assumption that a professional wedding MC/DJ Entertainer will “absorb” these responsibilities. However, the services offered in our packages are in NO way meant to replace the qualified, and professional wedding planner. My approach is from an entertainment perspective in leading and directing the audience and how that fully coordinates (and integrates) with all participating wedding vendors to ensure a smooth, worry-free, fun wedding celebration. Wedding Event Director (at the wedding / reception, and coming from an entertainment perspective). This is the delicate art and science of keeping your wedding agenda on track, while seamlessly keeping guests entertained. In doing so, skillfully keeping the spotlight of attention solely (and tastefully) focused on YOU when it needs to be. Critical to this, is a series of checklists, proven procedures, and the Amore DJ Entertainment Wedding Design™ process with a keen eye and an attention to detail that is rarely seen, yet an integral part to a smooth, perfect wedding. (it’s the little things, like: making sure the cake knife is at the cake table prior to the cutting of the cake; making sure the father of the bride, the bride, and the photographer are all in the room and ready for the father / daughter dance prior to announcing that special dance, etc.) That’s what we do! 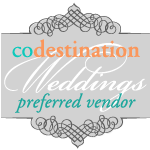 Although we won’t make your decisions, we are frequently asked for input on referrals for every other wedding category you can imagine. Those whom we’ve worked with first hand; seen their work; tasted their food; seen their photography, etc. AND who have recently gone through a rigorous recent interview with Matt. Many wedding professionals out there are good, some great, and some are just plain terrible. We have our own internal and extensive list of excellent wedding service professionals that our brides have been extremely pleased with. We feel it’s important that you know, we do NOT ask for, or receive a single penny in compensation (“kick back”) for referring another wedding professional. We also refuse to be “forced” or “bullied” into referring only those in a specific wedding group, club, clique or wedding association like other wedding providers. We just don’t do the “Good Ole’ Boys Club” routine. We only want the consistent quality of their work and the value they provide to stand on its own merit! • Sound Engineer & Sound – ultra modern, clean, clear, controlled sound. The ability to create, then control audio design, production and broadcast with a consistent, clean, and clear sound at the wedding ceremony and reception. Obviously critical, is the proper placement of the gear (and speakers) in a room for maximum clarity, balance, equalization, and appropriate volume levels so your guests will not miss a single announcement, yet create an appropriate volume for dancing near the dance floor when need, and still be able to maintain appropriate levels comfortable for conversation when it’s not time for dancing. Audio watermarks and logo placements are there for the web sample only. “From our initial meeting to post event follow-up, Matt was professional and diligent. Matt exhibited extraordinary attention to detail and excellent technical proficiency. He was more than willing to tailor his services to our specific needs and desires and always made us feel as though his primary interest was our satisfaction and not his bottom line. Matt had a robust library of ideas for engaging the crowd and providing unique reception moments. SEPARATE sound system (for the ceremony or cocktail hour) – to ensure a smooth, seamless transition from the ceremony directly to the reception. 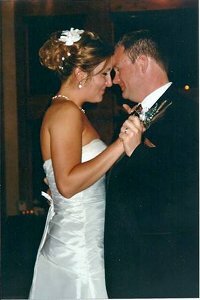 High quality wireless headset OR lavaliere (lapel) microphone(s) available (for the ceremony). Pro wireless speaker(s) which may be necessary at some venues with outdoor decks, patios, or in multi-room applications. Lighting, Design and Media Technician – to create the perfect ambiance and help create a total sensory experience! The ability to create the right atmosphere for an event isn’t necessarily what you see, but HOW you see it. To create the overall ambiance and enhance the experience by designing a room according to your vision for maximum enjoyment. This ranges from no lighting, to simple lighting, up-lighting (done correctly), theatrical lighting, intelligent lighting, dance club style lighting, special effects and more. We also have video projection systems with oversized screens that are available for short videos, photo montages, movies and more. The realization is that we know you want guests to feel welcome, included and appreciated at your wedding celebration even though all your guests may not dance. That’s okay! We know how to tastefully invite guests to become an active participant throughout the wedding celebration and have a great time whether guests want to dance the night away, or sit, chat and sip coffee. I’d love to hear about your wedding! I’d love to show you some cool ideas in the Amore’ Wedding Confirmation “kit” that is full of awesome ideas to help you personalize your wedding. (There are 109 creative ideas in the current Wedding Reception Confirmation kit and 116 in the current Wedding Ceremony Confirmation kit). The Amore’ DJ Entertainment Wedding Entertainment Design™ process is very comprehensive and sure to make you say “WOW” when you see it with so many fresh, creative ideas for tasteful guest interaction. Often overlooked, but we are the person solely responsible for loading in, setting up, and checking all the gear under every possible circumstance: up three flights of stairs, in a blizzard 20 below zero or rain down pour, several hours away, then tearing it down and driving back at 2am. It’s our responsibility to make sure everything is at the event, set up exactly as it’s supposed to be, in perfect working order with a back gear there on site. We realize that as your Colorado wedding DJ Entertainer, we are the visible wedding professional guests see, and thereby, it is “perceived” to be the wedding MC/DJ’s responsibility to maintain the sequence of events in a positive and seamless, calm and composed manner – no matter what happens. It is our unique ability to anticipate and deal directly with any problems that arise. This can often be done with ease and without disrupting the flow of the evening or disturbing the newlyweds, family or guests. I welcome the opportunity to explain these 12 roles of a Wedding MC/DJ Entertainer in person and chat more about your wedding.